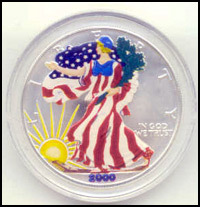 Even those goofy Franklin Mint commemorative coin commercials mention that the value of their “limited edition” painted coins is NOT guaranteed to increase. A woman at work today mentioned that she was worried because of all of these people who do have savings lost them. Now, sure, there are obviously some folks out there close to retirement that lost a ton of money. They were risky. As they neared retirement, they should have moved most of their savings towards lower risk investments. They lost their shirts, and honestly, they kinda sorta deserved it. My own 401k investments shows me that my limited low risk investments haven’t been hammered over the past few months. And, again, look at the markets today… There’s some value out there, and there is some money out there (though the news would have you think otherwise), and look what’s happening… Things are going up already. I’m hoping that everyone takes a chill pill and that Congress passes nothing. Anyone Else not Working for Rosh Hashanah?